Yoga and food growing! Connect and ground yourself. Enjoy the peace of rural mid-Devon and soak in the prana of nature. A chance to unwind and revive. We’ll be practising yoga and yoga nidra, doing gardening, cooking, eating and meditating together. There will be time for rest and personal reflection too. You’ll have a chance to develop your understanding of yoga and learn some horticulture. Specifically on this April retreat we’ll be sowing, pricking out (yes, that’s an actual term) seedlings and working on other seasonal jobs. The seeds will be squash and beans. This is a retreat for people at mixed levels of yoga experience and options will be given in the class. As ever, ‘maturity’ in practice is about breath awareness and connection, which will be facilitated whatever the fitness and mobility. A yogic diet uplifts and gives energy. We eat fresh, wholesome, delicious vegan food made with mainly local organic veg and organic ingredients. Recipes for prana and read more about the veganyogi diet. 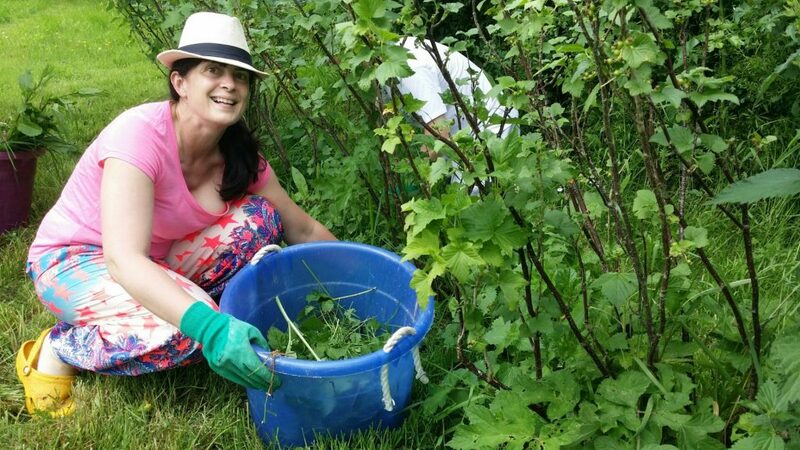 Connect and ground yourself with work in the garden on this retreat. You can develop your knowledge of food growing and be inspired by the life force of nature. Fiona is both a very experienced yoga teacher and has experience in food growing as well as having taught the RHS Certificate in Horticulture at London’s Agricultural College, Capel Manor. Car sharing and use of public transport is encouraged. Please see the application form to offer/ask for lifts.